Edward M. Dunham, Jr. - Spector Gadon Rosen Vinci P.C. Edward “Ned” Dunham is of counsel to the Firm. He practices in the areas of insurance coverage, commercial litigation, and risk management, with a specialization in cyber-risk management. Along with a business partner of the Firm, Ned has developed a family of proprietary, algorithm­ based assessment tools that, when combined with the Firm’s business and litigation services, assists insurance and reinsurance brokers, intermediaries, and underwriters, as well as policyholders, in assessing the risks to be insured or reinsured. The family of offerings includes a recently launched cyber-risk assessment, a HIPAA gap analysis, and an assessment of the legal and technological risks of doing business on the Internet. Ned is a frequent lecturer on Internet risks and solutions. Recently, he served as an adjunct professor of advanced insurance law and risk management at the Rutgers-Camden School of Law. 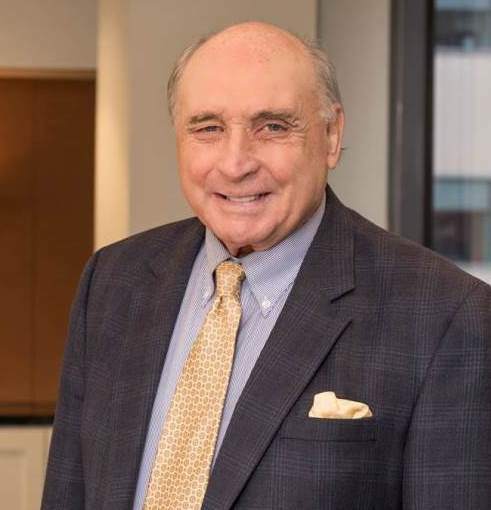 Throughout his career, Ned has been involved in some of the largest insurance coverage litigation in the country. He has acted as lead defense counsel for environmental insurance coverage litigation, and as national coordinating counsel for major asbestos litigation. Ned is active in dispute resolution as a Judge Pro Tem for the Commerce Program of the Philadelphia Court of Common Pleas, a nationally recognized business court. Underlying his qualifications in aviation and maritime law, Ned is a naval aviator with more than 6,000 hours of pilot time. During his 14 years on active duty, and 24 years in the active reserves; he flew a variety of single and multi-engine jet, turbo prop, and reciprocating engine aircraft. He holds a civilian instrument rating as a single engine (land) and multi-engine (land and sea) pilot. Ned is a retired Captain in the Naval Reserve, and a veteran of the Vietnam War. Represented a major insurance carrier in national environmental insurance coverage litigation and, along with other carriers, secured a win for the insurance industry at the U.S. Supreme Court. Represented a major insurance carrier in the first New Jersey environmental insurance coverage case under strict guidelines set by the New Jersey Supreme Court, securing a victory for his client. Represented a major insurance carrier in a protracted hepatitis BIHIV coverage case that, after all the other carriers settled for substantial sums, settled on the eve of trial with no payment to the plaintiff policyholder. Represented a major U.S. aircraft engine manufacturer in a crash/multiple death case in which the parties settled with no payment by the engine manufacturer. Represented a regional contractor in complex litigation involving witnesses in the Federal Witness Protection Program, in cooperation with the U.S. Department of Justice, resulting in a finding of no liability for the contractor. Successfully represented, on a pro bono basis, a death row defendant who had been the victim of inadequate representation at the trial and guilt phases of his trial and appellate proceedings.